Tag Tuesday: Top 5 Books I Am Desperate To Read in 2019! Hi friends! I can’t believe that this is the first Top 5 Tuesday of 2019, like how the time passing like The Flash did that happen?! 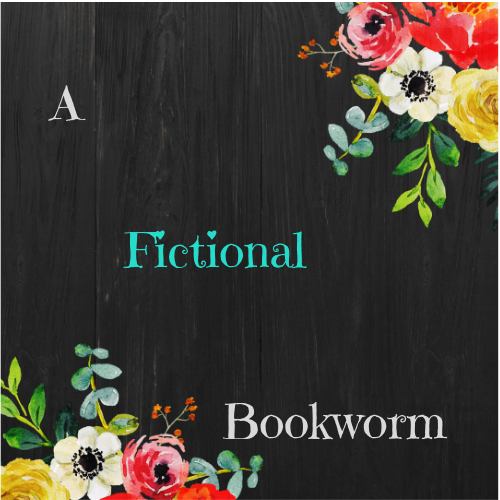 As always, this is hosted by Shanah @ Bionic Bookworm who is amazing, so go check her blog out! I NEED MORE BRANDON SANDERSON. I’ve heard waaaay too many good things about this series to not give it a try. His magic systems and endings are absolute perfection. Especially his endings. Interesting fact about me: I’ve never read a Neil Gaiman book. They are super popular* but I’ve heard such incredible things about this one in particular, I HAVE TO PICK IT UP. Plus it’s short so that’s a win. Um…so I meant to reread Strange the Dreamer so I could read this one but it didn’t happen. So now present Me has to deal with past Me’s mistakes and add this to the list. Am I the only one who sees a thriller that has everyone going “AHHHH” and immediately wants to see if I’ll fall for the twist as well? That’s sorta the case with this book cuz I want to be shocked. I HAVEN’T READ THIS YET. I ACTUALLY AM ANGRY. Lockwood and Co is one of my all-time favorite series, yet it’s been more than a year since I received this, and held off on reading it because hello: last book in a favorite series. I’m not ready but I’ll have to be. So that’s it! Tell me some books you need to read in 2019! ‹ PreviousTop 10 Books of 2018!!! | WE’RE RANKING THEM FOLKS! Lol yes! Really??? Ahh, you must read one! They’re amazing, I’d love to see your thoughts on it!! Great post! Ahhhh, I haven’t read Lockwood yet and I have it!!! I really must read it soon! And I also haven’t had time to read Strange the Dreamer which I also have to! Thank you! And YASSSSS it’s my favorite middle-grade series!! And yes yes yes Strange is amazing as well! The Way Of Kings was the first book on my list today as well! And for the same reason – MORE SANDERSON LOL! Lol YES we all need more Sanderson in our lives!! Ahh! I totally need to have some Gaiman on my list! The Ocean at the End of the Lane is one that I have on my shelf, too. Just waiting to be read. Probably Graveyard Book. Which probably says a lot about my maturity level, even as a 30-something man. Oh really! I’ve heard that it’s amazing. Ocean at the End of the Lane is a Need to Read for me as well – I bought this on an ebook sale a few years back and I haven’t cracked it open yet. Ahhh, I hope you enjoy it! Definitely one of my most anticipated reads! I’ve never read Neil Gaiman either… I’d really like to as well. Great list! Brandon Sanderson is also an author that I plan on reading this year! Ahh really?! I hope you love his books! I hope you enjoy Ocean, I really loved that one. Also need to read the way of kings and the ocean at the end of the lane! I’ve already read Muse of nightmares this year, and it was AMAZING! Ahh, I’m glad I’m not the only one lol! Ooh, really??? That makes me happy to hear! Kaya you just snuck past me with these books because none are even on me radar. (Although I’ve heard of some in passing.) Good luck getting to them this year! !